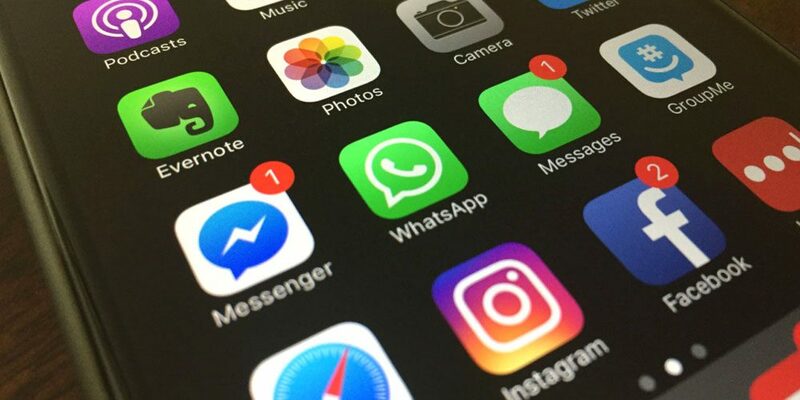 The WhatsApp is one of the most popular messengers today, and services dedicated to the exchange of conversations usually rely on mechanisms that allow the exclusion of dialogue for protection privacy. However, what if I need to restore erased data? The truth is that WhatsApp has restrictions on its ability to retrieve messages. But the drama of who needs to rescue what was said and then deleted through WhatsApp is about to end. Is that a data manager promises to recover messages that have been erased. Note, however, that performing the following steps may not restore your entire chat. During our tests, the messages were properly recovered. So, if you really need to redeem that deleted message, following the tips below may be one of your better options. Warning: In order for texts to be retrieved, WhatsApp should be uninstalled. So be sure to make your backups, and get to work. If your message was changed within 24 hours, simply uninstall and reinstall the application. During the re-installation process, a message will suggest restoring messages. Just tap “Retrieve” and that’s it: no alternate app has to be installed. However, if the conversation being redeemed happened longer, a file manager needs to be downloaded via Google Play , and your WhatsApp should be uninstalled. The File Manager (or Clean File Manager ) is precisely a software that allows access to system data folders Android – another file manager option is the Web PC Suite , which must be operated by a computer. Once you’ve uninstalled WhatsApp and downloaded the File Manager ( click here ), the storage location of your Android should be accessed. Open the application and select “System memory” or “Internal memory” – in our case, the second option has been selected. Go to the “WhatsApp” folder and then tap on “Databases” – this is where the exchanged messages are stored. Files hosted in the “Databases” folder match your conversations. However, in order for the restore to be done, the records will have to be renamed. It turns out that each of them has a date – see the example below, with the dates for the month of January. The trick is here: the moment you reinstall WhatsApp, the chat restoration will be suggested. It turns out that only the file of the day can be retrieved, and the undated document in the “Databases” folder is what corresponds to your current conversation . In order for you not to lose your backup, we suggest renaming the registry – in our case, rename the document to “today”. But how to recover the conversations of, say, nine days ago? Select the file in the “Databases” folder for a given day, and then remove the numbers that indicate the date. This process will cause WhatsApp to identify the edited conversation as the latest conversation. Download WhatsApp again and, during installation, select the “Recover” option. The application will retrieve your most recent conversation, indicated by the edited file as described by the previous step. Your current dialogs can also be queried through the File Manager app – in our example, the word “today” has been inserted next to the file name corresponding to the day’s messages (see previous step).